Gift Vouchers come in units of £20. Buy them online as a gift for a friend or for yourself. The perfect way to give a great present, without the worry of getting it wrong. 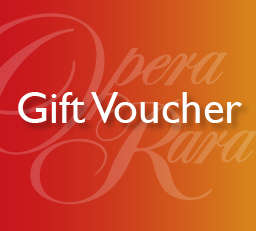 Opera Rara gift vouchers are simple to use, select the amount you want to spend (these are priced in units of £20.00, e.g. 1 = £20, 2 = £40, 3 = £60 etc) put the number of units you in the basket and at checkout let us know if you want this sent to yourself or to a friend (if sending to a friend keep ‘ship to a different address’ marked on the billing information page). 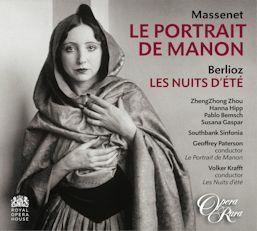 The recipient will then receive an Opera Rara catalogue and letter to confirm the amount they have available to spend and can begin shopping, viewing all available recordings from both the Opera Rara and Direct catalogues online. And you don’t have to spend the voucher all in one go! Orders should be placed directly with Opera Rara – either by phone, post or email.